I have always been a fan of Clint Eastwood and this increased when after seeing this quote of his on Facebook. He said, “I like the libertarian view which is to leave everyone alone. Even as a kid I was annoyed by people who wanted to tell everyone how to live”. There is no shortage of people who want to tell us how to live our lives. They have a right to their point of view. But there are two things, which make this different. One is that these people often have the ear of governments and seek to impose their ideas on everyone via legislation. And second this is generally done at the expense of the rest of us via taxes! As C.J Lewis said; “Of all the tyrannies, a tyranny sincerely exercised for the good of its victims may be the most oppressive”. So how does this respect for people to make their own decisions sit with my promotion of living a healthy life? 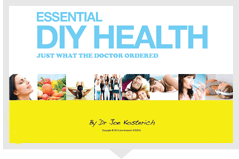 In setting up my website and other media activities I wanted to talk to people about how they can be healthy – if that is what they want. It is not my role to dictate to anyone what he or she should eat or drink. I can provide knowledge. Those who feel that what they read or hear from me makes sense to them may choose to apply it. It is also not the role of government or anyone else to dictate in an arbitrary fashion what adults can or can’t eat. Some people will make what others may view as “bad” choices. That is their right and whether I agree with them or not is immaterial. It is not my business. There are numerous aspects to the health of mind, body and spirit. Freedom to make choices and freedom to express views are a little understood aspect of health. Treat an adult like a child and they will regress to childlike behaviour. We see that in things like road rage (an adult having a tantrum). Stop people having a voice and you get repressed emotion that in time can manifest as some form of dis-ease. The ongoing attacks on free speech in Australia are absolutely appalling and would not be tolerated in the USA. Governments must not be allowed to stop newspapers or any citizen from criticizing them. Or indeed from expressing a view even if someone may choose to take offence. Remember when “experts” wanted a TV show banned because it questioned the use of cholesterol lowering medications? These are the same experts who for the last 30 years or so have been pushing the fats are bad mantra and encouraging use of low fat (high sugar) foods. Over recent times we have seen the demolition of the notion that fat is bad and that being a bit overweight will kill you. And it has been shown that consumption of refined carbohydrates (sugar) is the primary cause of type two diabetes. Yet has anyone admitted they got it wrong? So those who thought they knew best did not. That is fine. Nobody gets it right all the time. However when the freedom of individuals is reduced because some people want to impose their view forcibly on others we have a problem. It’s fine not to “force” people to make healthy choices Joe. What about big business advertising their products and brainwashing people to consume their destructive products? Something has to be done for all our good to counter the power imbalance. The notion of advertising as brainwashing assumes we are weak and needing the nanny state to protect us from information People can and do form their own opinion. And as we have seen with the low fat diet push, health authorities are not always right either.